Insurance Regulatory and Development Authority of India (IRDAI) has brought out final regulations for registration and operations of branch offices of foreign reinsurers (excluding Lloyd’s). It has stipulated that the foreign re-insurer should be in the reinsurance business for at least 10 years and infuse a minimum capital of ₹1,000 crore in the branch office. The insurance regulator has allowed a level-playing field for foreign reinsurers vis-à-vis GIC Re, the domestic re-insurer. Foreign reinsurers are being permitted to set up branch office in the country following the passage of the Insurance Amendment Bill, 2015. The regulator said the eligibility criteria for those who wish to open a branch office in India includes a prior approval or an in-principle clearance from the home country regulator at the time of filing the application, net-owned fund of the applicant should not be less than ₹5,000 crore and should have a minimum credit rating from a credit rating agency. Further, the applicant should be registered or certified in a national regulatory environment and with whom the Indian government has signed Double Taxation Avoidance Agreement. On repatriation of capital, the regulator said, “Any repatriation of the surplus generated by the operations of the branch offices of foreign reinsurers shall be only with prior approval of the Authority. The branch office of the foreign reinsurer can retain the core activities such as underwriting, claims settlement and regulatory compliances; and may outsource functions such as back-office servicing, investment, IT, accounts, marketing, human resources, administration and publicity. 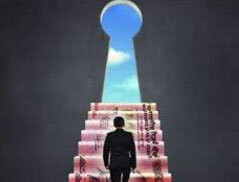 The regulator said that every Indian insurer, in order of priority, shall first offer an opportunity to the India reinsurer to participate in its re-insurance business or a foreign reinsurer which maintains 50 per cent minimum retention. It shall next offer the reinsurance business to foreign reinsurers that maintain 30 per cent minimum retention of business on their books and next to foreign reinsurers operating in Special Economic Zones. The balance shall then be offered to overseas reinsurers.